Source of Mamiya TLR lens parts? What is this tool known as? Ikoflex 1c – release lever doesn’t return, needs cleaning – how? Nikon AF-300mm broken frame for bayonet. Canon EOS XTi Rebel 400D Memory Card Reader Replacement. Nikon F eye level prism finder, fungus? taint? Nikon PS-4 Slide Copier Bellows Replacement? Minolta Rokker 50 mm f 1;1.4 infinity focus problem. Inside my Om 10 looks odd. Olympus Quick flash AFL battery change? Totally Dead Canon A-1: Where to begin? Canon fd 35/2 chrome nose disassembly problem! Mamiya Sekor 65mm f/3.5 front group disassembly – How? TLR Focus mechanism Glide Plates which material ? Canon T90 Mirror Magnet — Best Way to Proceed? Gossen Sixtron flash meter not switching off. Pax 35 front lens part. Zeiss super ikonta 530 /2 pressure plate removal ? Asahi Pentax Meter, circular clip on style. For my S1. Pronto shutter – is this normal? 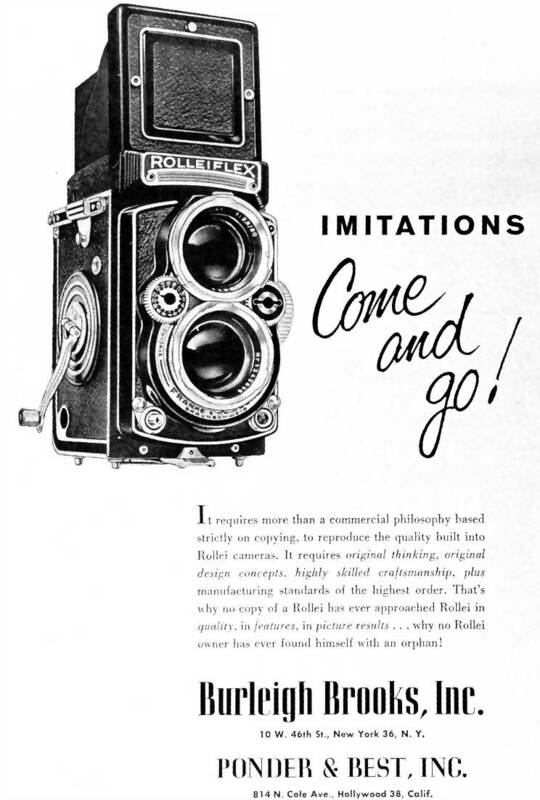 Optics question – Rolleiflex Opton Tessar? Bronica ETR lens shutter needs calibration? Optics question – Agfa Isolette Apotar? Hi-Matic C light meter not working. Where to start? Nikon FE2 replace shutter blades or fix electrical short? Leica M3 DS Back Door Light Leak HELP!!! Petri 7s, How much of a pain is it to remove the lens assembly? Minolta XG-1 Lens/ film advance lever. Electro 35 – no longer getting battery power? Which black paint to use on lens element? Konica FS-1 with unresponsive metering LED’s. Disassembling 50/1.9 Canon Serenar – How? Has this Konica C35 been hacked? How do i disassemble a summicron-m 90 from 1973? How to remove bellows from Kodak 3a? Yashica Electro35 GSN shutter speed – not POD! Praktica MTL5 – Loose Eyepiece and repair? Anybody deal with Morgan Sparks at Cameraleather.com LATELY? Canon IIF: What did I do now? Canon AE-1 won’t wind on without ripping film. Olympus Pen FT what’s this on the pictures? Need help with my Minolta XG-1! Rolleiflex TLR film advance lever stuck? Praise for Jon Goodman light seal kits. Camera’s curtain is not working properly? Minolta XG-M: can’t rewind film! Mamiya Press 50mm focusing adjustment. Is this fungus in the lens? Streaks on negative from Leica IIIf? How to clean Vitessa eyepiece? Minolta Hi-Matic 11 Stuck Aperture? Copal SV Shutter : One Speed Only! Hexanon 50mm 1.7 in four pieces!? Lubricants for motion picture cameras. Polaroid 180 + 195 – Anybody ever fix one? Minlota Rokker 50mm 1.4 fungus on front element. Canon 7: What are these screws for? Petri Color 35 film advance problem. Tamron 500mm f/8 Reflex Disassembly? An OLYMPUS SP-35 needs service, but where? Minolta XG9 meter reading off? Where to buy replacement capacitor for Minolta x300? Minolta XG-1 Film advance broken? How to get to the Yashica Minister II shutter? Prontor SVS 9 stpes shutter needs help. How to remove the shutter unit from a Wirgin Edinex? How to disassemble a Minolta MD 50 1.7 lens? Mask for Bencini Koroll ? Fujica AX-1 Film Advance Lever stuck? Braun Paxette Shutter mechanism, HELP! Somebody knows about VM and VMo Service Tools ? Yashica Electro always reads low light. Gossen Luna-pro SBC repair help! Lynx 14e — is wind lever lefthand threaded? Do the Nikon FG-20 and FG share the same shutter? Minolta XE-7 Rp resistor type? Fujica ST701 meter problems – bad Cds? Adjusting an Oly OM-1n’s Meter? Nikon 500mm HN-27 lens – can it be cleaned? Cost? Agfa Super Solinette – how do you get the top off? Agfa Super Solinette, to uplift topcover, rotate anti-clockwise or ?? ?